Our fourth grade class was introduced to the study of Shavuot. We read the Ten Commandments in Hebrew and learned that Shavuot is the time of our receiving the Torah. In addition we sang songs about the 613 Commandments. The Tel Aviv group will individually recite the blessing before Torah study and discuss which Torah characters have characteristics that you admire, that you dislike, and what would you do in their place? 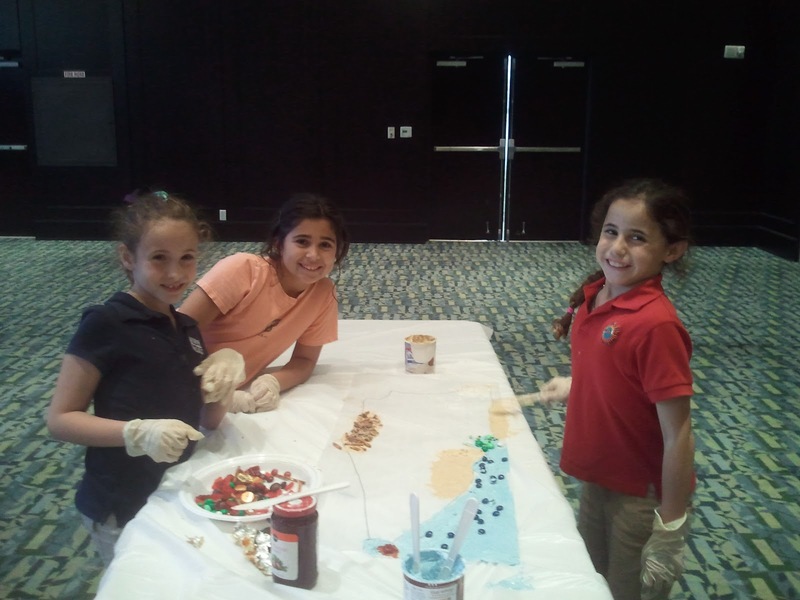 Fourth and Fifth grade had a special Kitah Kef where they reviewed the geography of Israel and made their own maps using all kinds of frosting, candy, and other edible objects!